Page 5 contains newspaper clippings related to coeducation events and sentiments at Yale University in 1968. 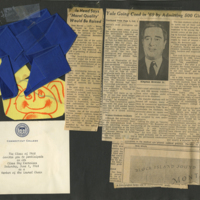 The page also contains memorabilia from Connecticut College Class Day 1968, including an invitation to the event, a blue laurel chain from the event and a small clipping of an illustrated cartoon figure of a girl used to promote the event. 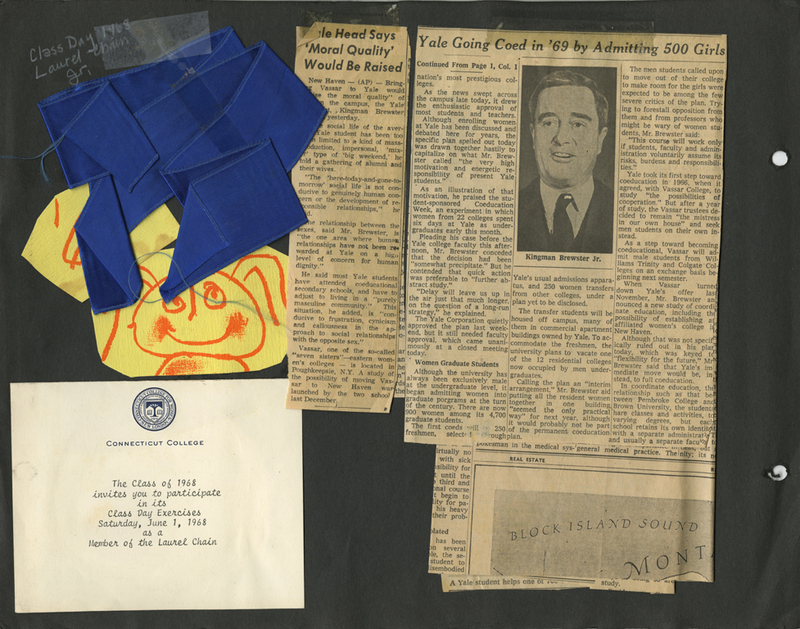 Abel, Linda Lee, “Linda Lee Abel Scrapbook Page 5,” Linda Lear Center Digital Collections and Exhibitions, accessed April 24, 2019, http://lc-digital.conncoll.edu/items/show/1081.